The year of 2006 brought a new movie in the James Bond series and the third screen adaptation of Fleming’s 1953 novel – Casino Royale. This movie has been regarded by many as the best movie about the most famous agent with “a license to kill” so far. It follows the well-known formula of James Bond movies, but it adds a darker and more realistic tone. The movie deals with Bond’s first mission as an MI6 agent and portrays different aspects of Bond’s character including his weaknesses and emotions. We can finally understand better what kind of a man and agent James Bond is. Finding the right actor to play the role of James Bond was certainly not easy. According to producer Michael G. Wilson, over 200 actors were considered for this role, including Henry Cavill, Sam Worthington, Dougray Scott, Goran Visnjic, and Hugh Jackman. 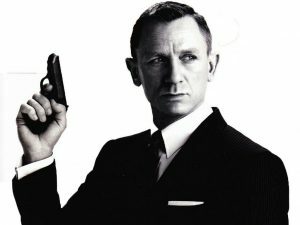 Finally, the producers chose Daniel Craig as the sixth actor to play the role of James Bond, which was met with some controversy as he was not regarded suitable to portray the handsome and charismatic image of James Bond. Furthermore, Craig himself declined the role at first saying that James Bond movies had become too repetitive. However, after reading the script and Fleming’s novels, Craig accepted the role and we got a new James Bond. The filming of the movie lasted from January 2006 to July 2006 and it took place in four countries including the Czech Republic, the Bahamas, Italy and the United Kingdom. The primary filming location was Barrandov Studios, which is the largest studio in Prague and one of the largest in Europe. Additional filming locations included Pinewood Studios in Iver Heath, Buckinghamshire, New Providence in the Bahamas, Venice and the shores of Lake Como in Italy. The Grandhotel Pupp in the famous Czech spa Karlovy Vary was used as Hotel Splendid. What surprised the modern audience used to seeing a lot of special effects and colors was the opening sequence done in black and white. Cameraman Philip Meheux, an English cinematographer, decided to shoot black-and-white film instead of removing colors digitally afterwards. He used Eastman Double-X 5222. To increase the depth of the field and resemble classic spy movies more closely, Meheux used Techniscope, which added to the sharpness of the video. Furthermore, six camera units were used for the production including Arricam Studio bodies, an Arricam Lite and Arri 435s and 235s. Meheux used two Kodak Vision negatives, 500T 5297 and 200T 5274, for the color material. Although a newer version was available, Meheux opted for 5279 as it provided deeper black colors and more detail. Finally, what made the camerawork in this movie so fantastic was the fact that it involved a lot of handheld work. Casino Royale is packed with amazing action scenes. The first one is a parkour chase scene, which was filmed at a building site in Madagascar. The second was a chase scene at Miami International Airport, which was partly shot at Dunsfold Aerodrome in England. The third and the most epic action scene, the sinking of a Venetian house, was shot on the Grand Canal and in Pinewoood Studios. The house was digitally inserted but the surrounding buildings were shot on location. The sinking house was built on a special rig which was composed of a water tank, a Venetian piazza and an interior of three-story house. The total set weighed 90 tons. 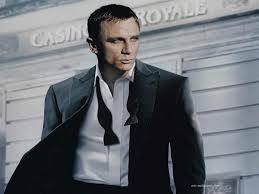 Casino Royale was more than well-received around the world, grossing almost 600 million dollars. It still remains one of the best James Bond movies to date.